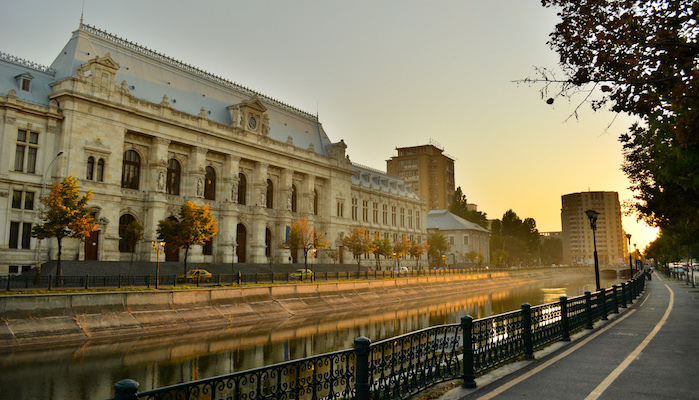 For distance runners, one of the best options in Bucharest is the long stretch of sidewalk along the Dâmbovița River. Don’t expect a greenway (most of the route runs along a busy street), but this flat sidewalk offers long stretches of uninterrupted pavement running with some nice views of the cityscape against the river and trees. There are water views much of the way. The runnable section of the river is about 10 km one-way, between Văcărești Park in the east and Regie in the west. The running is on both sides of the river along Splaiul Independenței, with numerous small bridges allowing for fun loop options. Our favorite section is the 3 km (one-way) stretch between the Church of Bucur the Shepherd and Eroilor Park. Metro stations are on the south side. Up to 20 km out and back. Best section is the ~3 km between the Church of Bucur the Shepherd and Eroilor Park.